Hello dear friends. Today as you can see I will talk about my ebay purchase. I think that Ebay and Aliexpress and similar China sites have similar products and quality. I saw few of bloggers reviewing stuff from those sites so I wanted to say my opinion and experience. First of all I want to talk about shipping. Mostly it is free but you wait for 20 and more days to arrive in your post office. That is sometimes annoying but hey you are free shipping so that is in some way ok.
Second thing about these products is that they are not well made. For the price ok but I didn’t expected to be that bad. And I get mad when bloggers tell how good their brushes from Ebay or Ali are good when they are not!!! They aren’t good because I purchased set for eyes months ago and I threw mostly of them I kept few for reviewing only. First thing I want to talk about those pretty little pinky make up brushes with rose gold metal on them. That are constantly on EBay or Ali or other china sites. They are absolutely fail. The wands are not good. They are separating. The glue is bad. The quality of hair is sooo bad that itirritated my eye. They are so hard. Only few of them have nice hair but most of them are soooooo bad for your eyes. Theyare stiff not well made. I have my Real Tehniques, Morphe brushes, BH cosmetics brushes and you can’t even compare any of these to ones I’ve got from Ebay. Sooooo bad quality. And I get mad when someone talks how good they are for the price. They are good if you are a child and want to play with them. But for use I won’t reccomend them. They seem to be hard and you can irritate your eye using them!! I don’t have full picture of them because I threw them in garbage. I have some of them but I will show you the ones on Ebay and the price ofcourse. These were just fail for me. 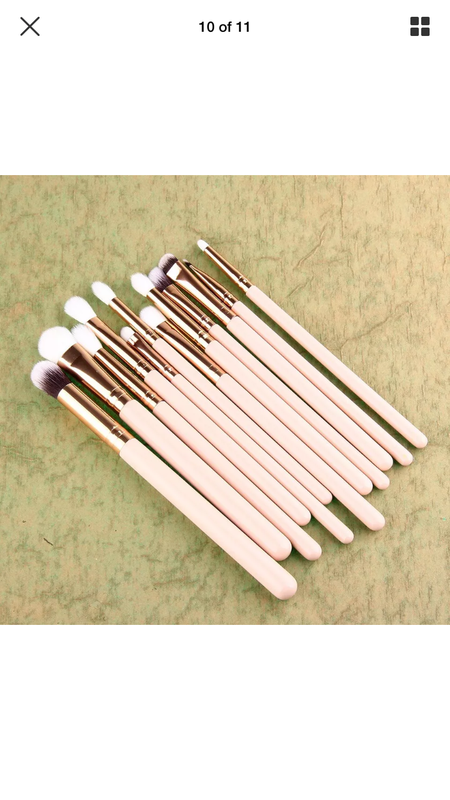 And when you see these on those sites and you rhink good price for soo many brushes. No! Don’t buy it rather invest in Real Tehniques set for eyes or Essence blending brush. They are soo good and soft and won’t irritate your eye like these. 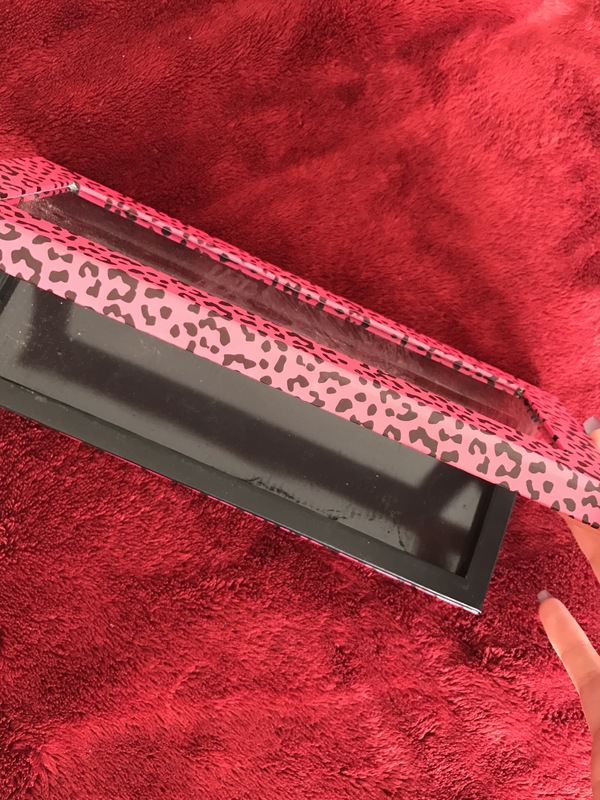 🎀Second thing I want to show you were palettes from Ebay. They were around 5-10$. And these were empty ones. I don’t like them too. 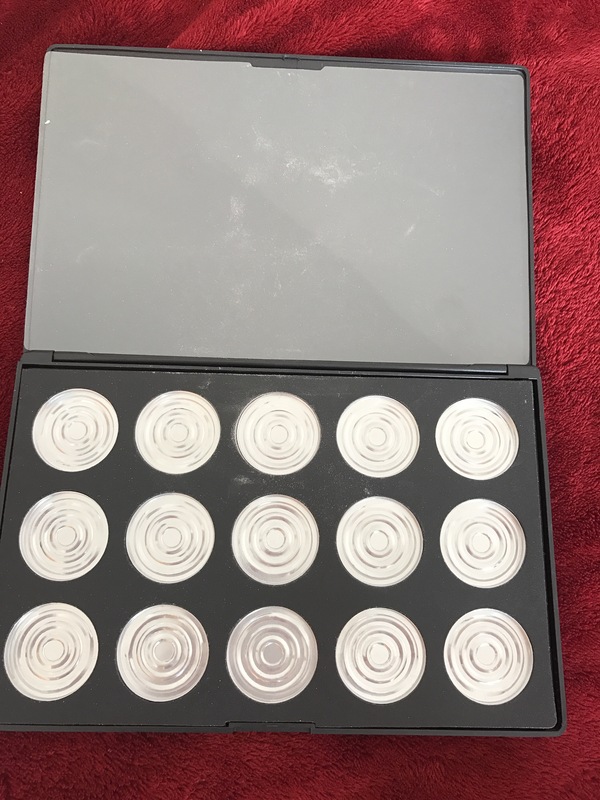 The magnets aren’t there at all it is not a good palette for the price I will rather go for some Z palette or some revolution palettes in drugstore. I don’t use these ones. They are not well made. And I won’t purchase anything like this anymore from Ebay. 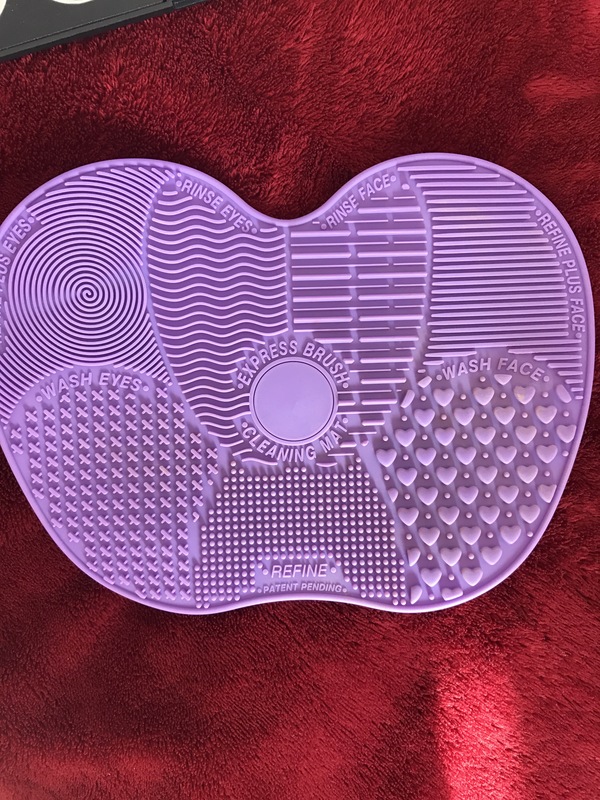 🎀Last thing I want to show is a cleaning pad it is dupe for Sigma one. I love this one. It isn’t all bad haha. I love this pad because it does what is suposed to do. It cleanes your brushes. Looks cute and it is 5$ and the Sigma one is 35$. You are paying for the name that is what I think. Sooooo let’s show you photo. I love it. 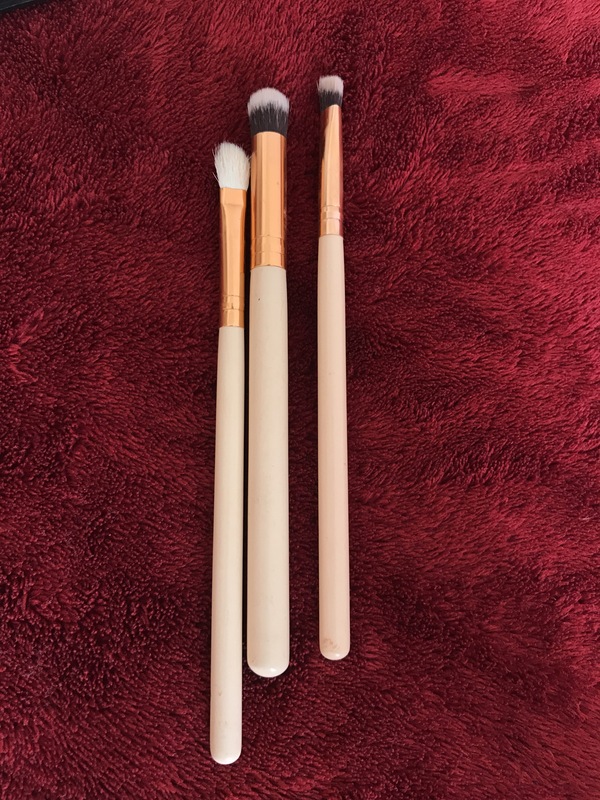 It does good work for the brushes and it is well made product. So that completes my purchase from Ebay. Did you buy anything from Ebay and got it like I do? I don’t like buying on these kind of sites. But I tried it and didn’t like it. What are your experiensies with china sites like this one? Please let me know in comments down below. I’d only buy makeup accessories from places like AliExpress, not actual makeup items. On ebay I only buy authentic stuff mostly from Japan. I’ve not had any issues. I don’t like shopping from China because they’re all fakes. Another thing buying from those places in China is the makeup most likely contains rodent poo as part of the ingredients. Yeah. Eww. 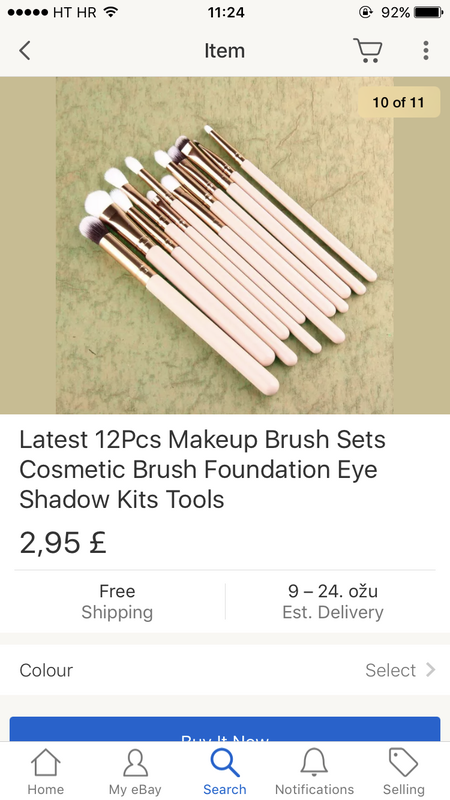 I don’t mind getting knockoff brushes if they’re good quality. I got some on Amazon by a brand called EmaxDesign and they’re REALLY good. Got a set of like 14 brushes for $12 or so. I love that you included you fails with the successes! eBay is very hit and miss but when you find a gem you know it’s worth it!